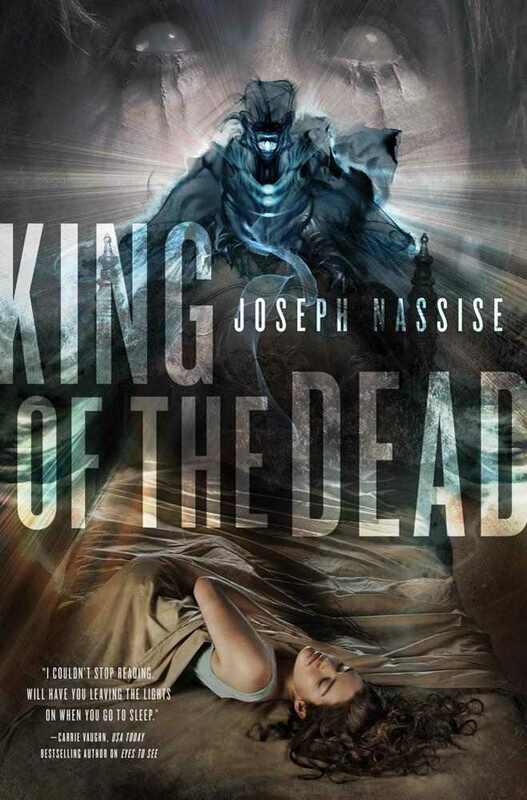 Yesterday I posted my review of Eyes to See (Jeremiah Hunt #1) and today we are looking at King of the Dead (Jeremiah Hunt #2). King of the Dead takes off following the events of Eyes to See. Hunt is on the run from the law for murders he didn’t commit. Man, I thought that Eyes to See was intense. King of the Dead makes the events of book #1 look like a cake walk! After how much I loved Eyes to See, I was afraid that I was going to be disappointed with King of the Dead and that was not the case. This book is filled with even more suspense and action and it takes a DARK turn. Once again, I LOVE the character of Jeremiah Hunt. Following the little bit of closure he got in book #1 (not saying in regards to what so I don’t spoil it for you), we kick off King of the Dead on a bit of a lighter note. More of his humor is showing through than it did in book #1 because there’s been that big emotional shift. He also has genuine companions (Denise and Dmitri) for the first time in a long time and I think that a character like Hunt needs that connection to thrive. Solitude obviously doesn’t suit him because he’s a touch crabby in the beginning of book #1 and King of the Dead really shows a warmth in him that we only started to get a peek at in Eyes to See. These connections that Jeremiah has made are filled with an admirable love and respect and you know right away that should anything happen to his companions, he’d be WRECKED all over again. One of the things I loved about the characters in this book is the very distinct personalities that they all have. In our core characters of Hunt, Denise and Dmitri, these three people are so different as individuals but they really fit together like puzzle pieces. They make a great team, one filling in talents/skills where another might lack. As I mentioned above, King of the Dead takes a dark turn – if you can imagine a darker storyline than what we were dealing with in Eyes to See. 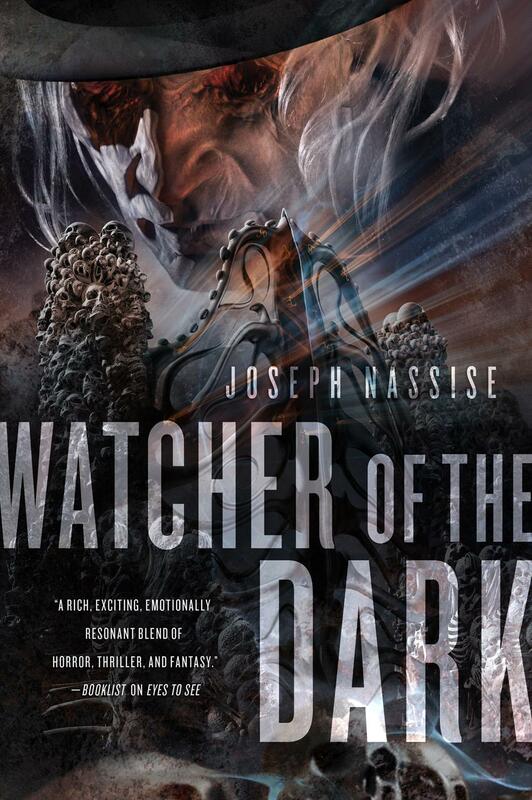 Well, Joseph Nassise did it. There were moments in this book that made me put my hand to my mouth in a gasp. Between the Big Bad that they’re dealing with (and he is a particularly BIG BAD) and the suspense of trying to figure out exactly what is going on, this book is a spitfire thrill ride. I loved it. I genuinely loved it. 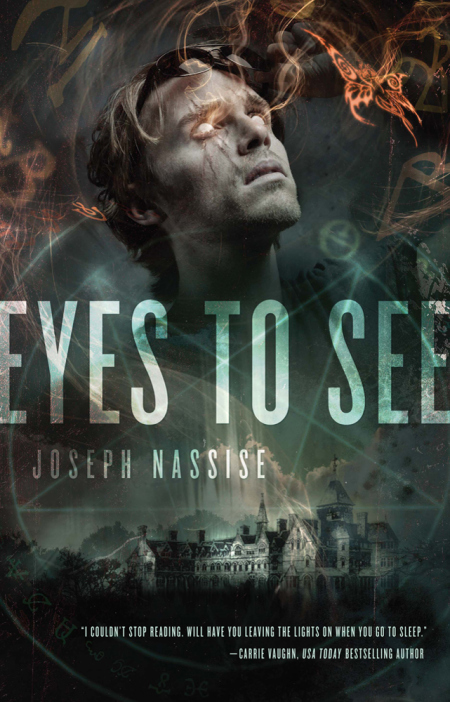 As I mentioned in my review of Eyes to See, Joseph Nassise officially has an obsessive fan! I am in love with this series and it is one I will be following until the very end. I did some poking around and haven’t been able to find a release date yet but I am being told that there is a Jeremiah Hunt #3 coming out. And it’s a damn good thing too because this ending most certainly classifies as a cliffhanger from hell! The final two chapters are surrounding this massive stunner moment that is shocking and heart breaking all at the same time. I seriously wanted to just CRY and track Mr. Hunt down and just give him a great big hug. My heart bled for him. I was standing in a faerie enclave, taking orders from a mage, and getting ready to look at a soul-sucking beast through the eyes of a ghost…..and he wanted me to point out the unusual? King of the Dead gets a well-earned 5 stars!! Well done, Mr. Nassise! The Jeremiah Hunt series is what urban fantasy is all about! On a side note: LOOK AT THAT COVER!!! GORGEOUS!! !